A national emphasis is planned for next weekend to get those boating under the influence — BUI for short — off the water. The BUI law is basically the same as the DUI law — no driving over a .08 blood alcohol level. “With boating season in full swing, it is important to observe and practice safety afloat. We are offering these boating safety tips, hoping you will have many fun and safe boating experiences,” says State Fire Marshal Charles M. Duffy. 1. Leave Alcohol on Shore: In 2008, alcohol was either a direct or indirect contributing factor in 35 percent of all boating fatalities. 2. Take a Boating Safety Course: More than 70 percent of all reported boating fatalities in 2007 occurred on boats where the operator had not completed a boating safety course. You may even qualify for a reduced insurance rate if you complete a safety course. Contact your local Coast Guard Auxiliary, U.S. Power Squadron chapter or visit www.uscg.mil for more information on courses in your area. 3. File a Float Plan: The U.S. Coast Guard recommends that you always tell a friend or family member where you plan to go and when you will return. Make it a habit before leaving on any boat trip. The proper officials can be notified promptly if you don’t return when expected. 4. Be Weather-Wise: A calm day can quickly turn ugly on the water. Keep an eye out for changing weather conditions and stay on top of the forecast while boating. Promptly heed all weather and storm advisories. a. Life Jackets and Personal Flotation Devices – State law requires each person on board to have a properly-fitting U.S. Coast Guard approved serviceable life jacket. Also, boats longer than 16 feet must have a throwable Personal Flotation Device. b. Fire Extinguishers – If your boat has any enclosed compartments or a false floor, you must carry a Coast Guard approved fire extinguisher. Make sure it is charged and accessible. c. Boat Lights – Always test your boat lights before the boat leaves the dock and carry extra batteries. d. Emergency Supplies – Keep on board in a floating pouch: maps, flares, and a first aid kit. e. Anchor – Make sure you have one and can properly use it. Improper anchoring may cause fatal accidents. 6. Designate an Assistant Skipper: Make sure more than one person on board is familiar with all aspects of your boat’s handling, operations, and other boating safety tips. If the primary navigator is injured or incapacitated in any way, it’s important to make sure someone else can follow the proper boating safety rules to get everyone back to shore. A little more than a week ago, a North Kitsap man agreed to trade his car for a sailboat. The Silverdale man offering the boat said he needed to go get the boat’s title, and asked if he could borrow the car while he did. The Silverdale man never returned with the car — nor sailboat as compensation for that matter, according to the Kitsap County Sheriff’s Office. A New York Times article this week suggests the NK man may be better off without the sailboat. They are expensive to moor and maintain, hard to get rid of, and abandoned boats are turning up everywhere during this economic downturn. The article even mentions the Seattle man who purposefully sank his boat in an effort to get insurance money for it — because he couldn’t sell it. 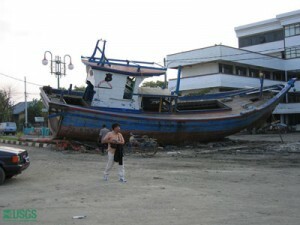 But the NK man was certainly owed his boat, or at least to get his car back. Sheriff’s deputies found the Silverdale man, arrested him, and returned the car, their reports of the incident said. Threats to a Ferry — What’s the Penalty? State — and perhaps federal — authorities will be investigating who called 911 anonymously to report a threat to bomb a Washington State ferry today. That doesn’t mean the person would be facing any criminal charges. In fact, State Trooper Krista Hedstrom notes, authorities are glad the call was made in the name of safety. “We definitely would like to talk to that person,” she said of the 911 caller.